Ships today if you order in the next 12 hours 17 minutes. Auto Ship & Earn + 111 Points What's this? 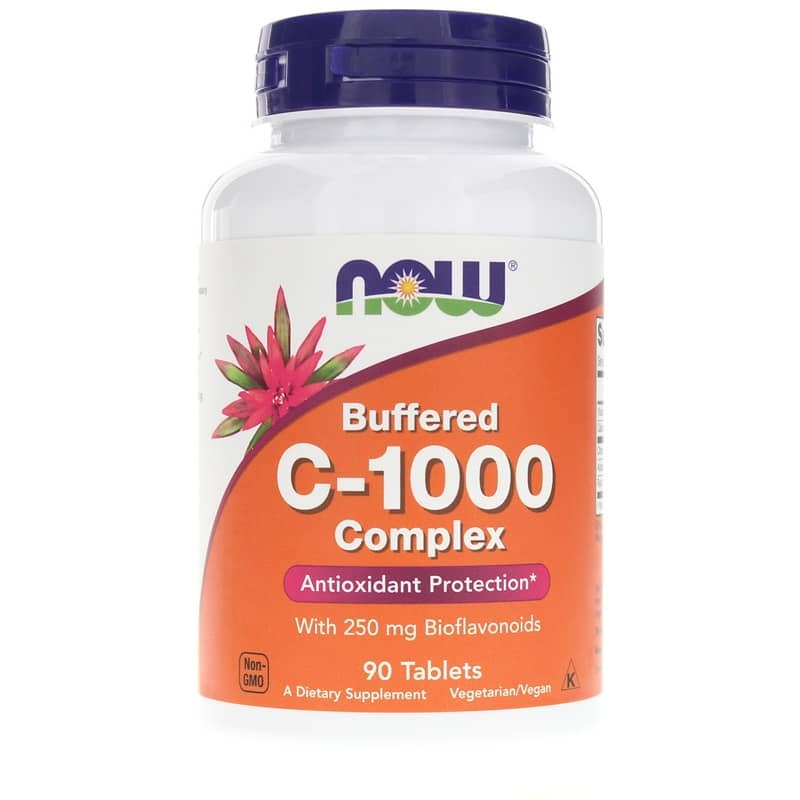 Buffered C-1000 Complex from NOW contains sustained release Vitamin C from calcium ascorbate with 250mg of bioflavonoids per tablet. 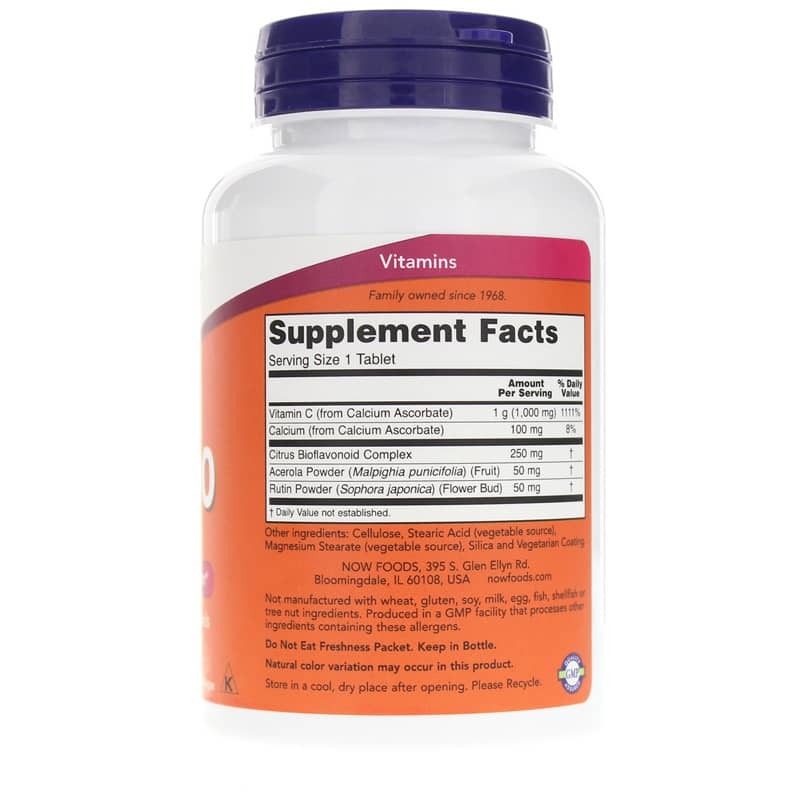 This product is designed to gradually release over a 2-hour period. Other Ingredients: cellulose, stearic acid (vegetable source), magnesium stearate (vegetable source), silica and vegetarian coating. Not manufactured with: wheat, gluten, soy, milk, egg, fish, shellfish or tree nut ingredients. Produced in a GMP facility that processes other ingredients containing these allergens. Vegetarian/Vegan. Non-GMO. Kosher. 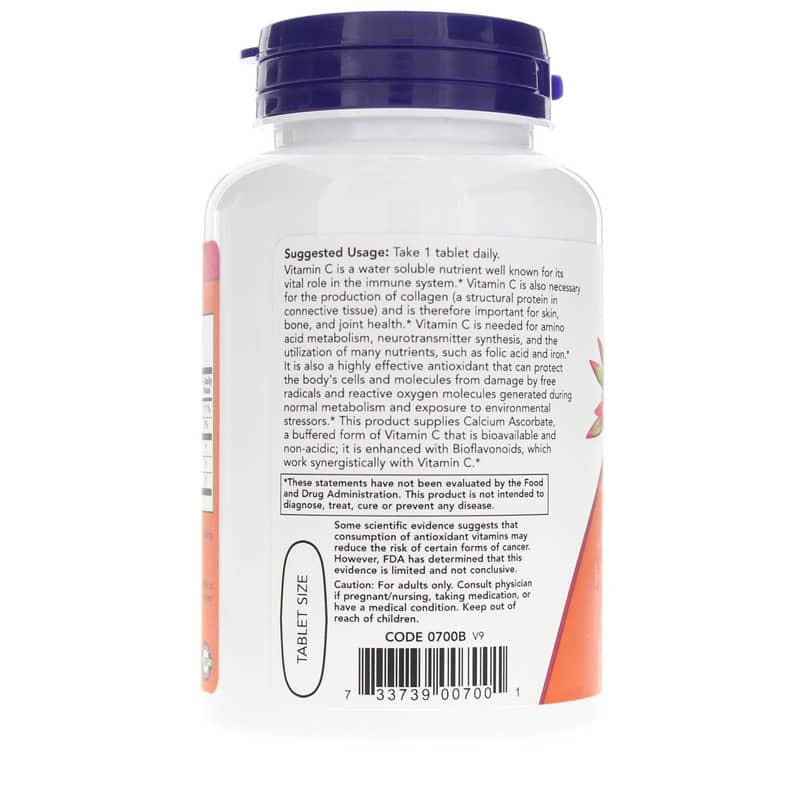 Adults: Take 1 tablet daily. For adults only. Consult physician if pregnant, nursing, taking medications, or have a medical condition. Keep out of the reach of children.